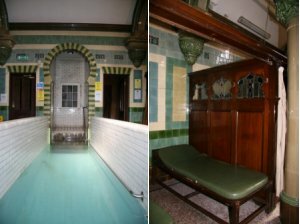 * A blog on Turkish Baths in Victorian Ireland is a lot of things. "Click-bait" is not one of them. But I do like the story of Cork's Dr Richard Barter and his belief that hydrotherapy could cure all (or most) ills, his crusade for hygiene and mutual admiration thing with the Scots diplomat David Urquhart, a Victorian toff who was, at one time or another, a freedom-fighter, secret agent, art-lover and life-long Turkish-Bath obsessive. Urquhart was also - bizarrely - a fervent campaigner against public hygiene for the poor. And to put the tin-hat on it, he gave Karl Marx his start in British journalism. Barter & Urquhart, who, more than anybody else, fostered the Victorian craze for Turkish Baths - and almost every city district and fashionable resort town had one - personify that mad streak in the otherwise repressed Victorian mind, the impulse to break free from the strictures of society that sent Urquhart off into the wilds of Anatolia to fight for Circassian Independence and sent Barter into the mysterious East, or at least a version of it built from marble, tile and lead pipe on the banks of the River Lee, in Dublin and London. 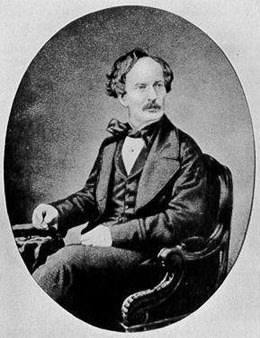 Richard Barter (sometimes referred to as "Barton") was a Cork doctor, who believed fervently in the power of hydrotherapy, the power of water, hot, cold, steamy or bubbling, to cure the mind and the body. In the Victorian age of science, many medical men, and enthusiastic amateurs, put their trust in new cures, either in chemistry, in electricity, exercise, scientific diets (the late Victorian Dr Kellog in America would build what amounted almost to a cult around the humble corn-flake). Some sought out Spa Cures amongst prussian officers and their wives in remote towns in the Carpathians, others sea air in the south of France or the English Riviera. Cork's Dr Barter believed in hydrotherapy - the power of water. And he founded Ireland's first public hydrotherapy baths in Cork (St Ann's Hydro), as early as 1838. In many respects, he was well ahead of the curve. 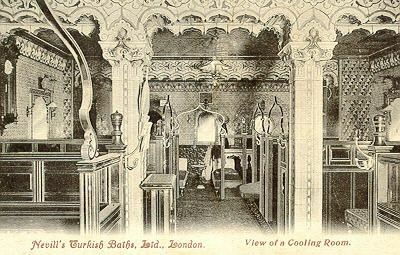 Turkish style baths would become a craze in late Victorian London, partly because of Dr Barter and his partner in grime, David Urquhart. Both men believed that not only was cleanliness next to godliness, it also protected men and women from the worst afflictions of the human body. Together, they would publicise and evangelise for public (or in the case of Urquhart, public for Toffs at least) Turkish baths, invest in and popularize them to the point where cities such as Dublin, London, Edinburgh and Liverpool (and many more) would boast beautiful hydro palaces - ornately decorated, lavishly tiled and be-marbled places where men (and women) could divest themselves of their stiff layers of clothes and experience the soapy delights of the Turkish hamman. London had some of the best, most, sadly, now long gone. What a delight is must have been for a Victorian man to enter the majolica-tiled, early art-nouveau palaces, with their quasi-classical columns, intricate oriental arches, spouting steam pipes, hot and cold pools, steam-rooms and slipper-baths, and wash away the grime and emotional repression of the streets and society outside. 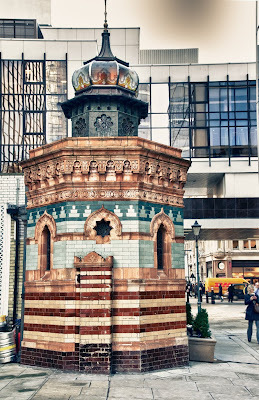 One of the most beautiful, Nevills Turkish Baths of New Broad Street, not only survived the gradual going out of fashion of the facilities in the 1930s, but also an almost direct hit from the Luftwaffe in 1941. Today, much of its decor survives and it houses a restaurant. James Joyce was certainly a fan. Of all the fictional characters ever linked to a Turkish Bath (and we can count Sherlock Holmes amongst them) Leopold Bloom was the one who truly luxuriated in his hamman. In Ulysses, we follow Bloom's meanderings around Dublin on the day of June 16th, 1904. And though he longs for one, he cannot take a Turkish Bath on that particular day. In the Lotus Eaters episode, Bloom calls in at the chemists for some lotion and a bar of soap. The scents of the of the various soaps provoke what we are legally obligated to call a Proustian response. "Nice smell these soaps have. Time to get a bath round the corner. Hammam. Turkish. Massage. Dirt gets rolled up in your navel. Nicer if a girl did it. Also I think I. Yes I. Do it in the bath. Curious longing I. Water to water. Combine business with pleasure. Pity no time for massage. Feel fresh then all day." "He walked cheerfully towards the mosque of the baths. Remind you of a mosque, redbaked bricks, the minarets". Later, in the Ithaca episode, Bloom is shown to have visited the Turkish and Warm Baths at 11 Leinster Street. ...he had proceeded to the oriental edifice of the Turkish and Warm Baths, 11 Leinster street..."
This Mosque of baths, the Oriental ediface, refer to the Lincoln Place baths in Dublin, built and designed by Cork's Dr Richard Barter and opened in the mid-1860s. Joyce, by the time he wrote Ulysses, was already away from his native city for several years. But he had not forgotten the sensual delights of Dubin's Turkish Baths.